The tunnel through which the very first Underground train passed 150 years ago this week is, by and large, a dump. There’s no reason for it not to be. It’s one and a half centuries old. Much of it is in complete darkness. It doesn’t need to look or feel especially reverent. It still does the job for which it was originally built, and that’s all that matters. Where the tunnel lifts its skirts, as it were, is when it brushes up against the rest of the world. And it does this with the most style, but also the most dignity, at Baker Street. 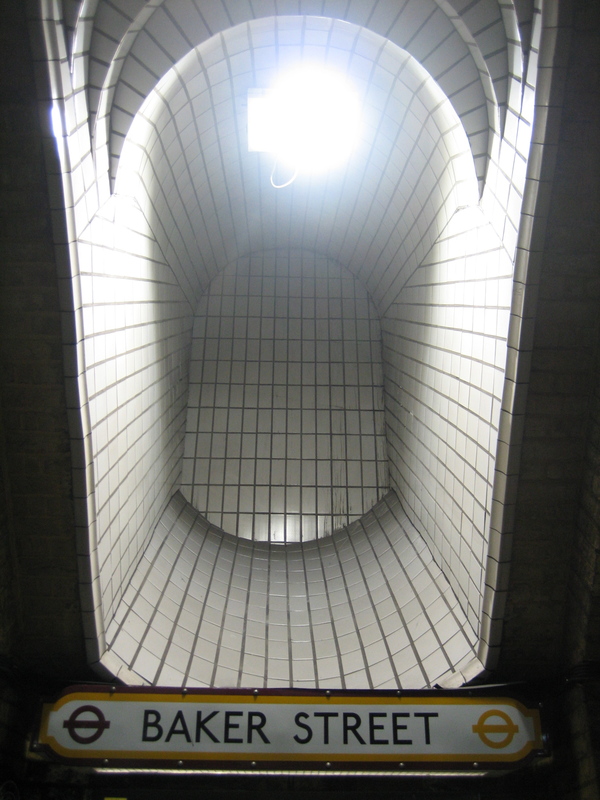 Apart from stations on the Jubilee line extension, I’ve rarely come across examples of the Underground using artificial light with such precision and thought. The care that has gone into the presentation of the original platforms at Baker Street is palpable. You feel like someone has, for once, grasped how architecture and artistry can rekindle each other in a constructive, forward-looking fashion. This place could so easily have taken on the feel of a mausoleum. Antiquities could have been preserved out of duty rather than love. Instead the smell of Victoriana that sidles up your senses the moment you arrive on the platforms is comforting, even reassuring. The eminence is infectious. I want to linger here, not pay my respects and move on. The drawings and old maps and archive floor plans all help, of course. They sit in the illuminated alcoves, twinkling in the light, making the place feel even more like a living museum. I imagine, or at least I hope, they render the business of waiting for trains a little less tedious. Not that tedium is something I’d be quick to associate with Baker Street (although when I was there to take these photos, somebody was passing the time by doing the electric boogaloo – and rather well, as it happens). 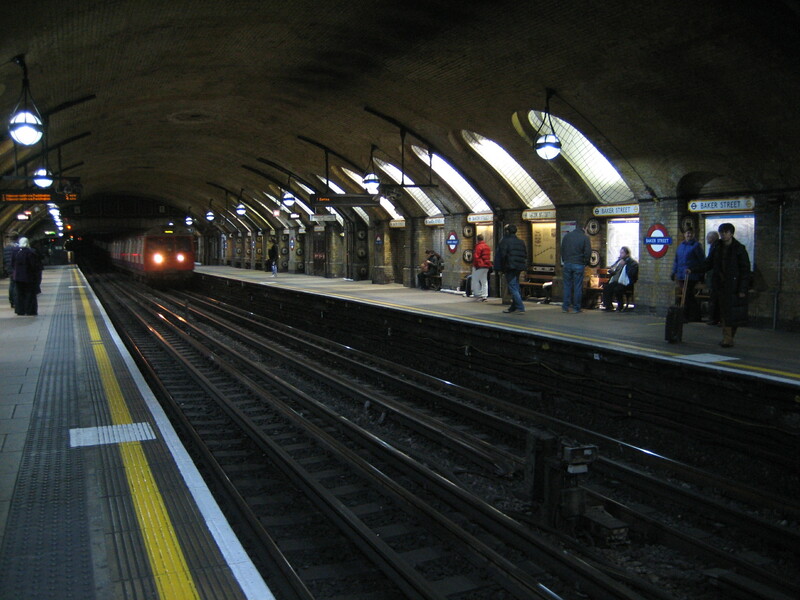 These are only two of the 10 (count ’em) platforms at Baker Street, serving just two of the station’s five lines. But they are the oldest and also the finest. A bit of history gets under your fingernails every time you pass this way. Long may that continue. Great work! Took me a while to get up to date, I was only introduced to your blog on number 60 something. Must confess some of the posts are a bit long and mention objects I suppose you enjoy personally, but I can’t see what the fuss is about, and then there are posts like this one, which make me think, damm I miss London (haven’t been there is 6 years!!! 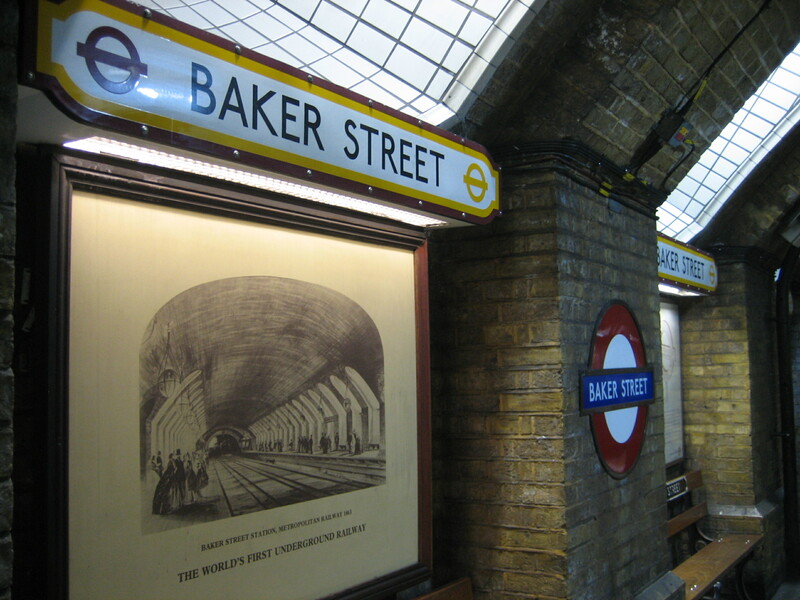 ), how I wish I could get on the underground and have a look at Baker Street! Thanks for the reading, knowledge and entertainment!. 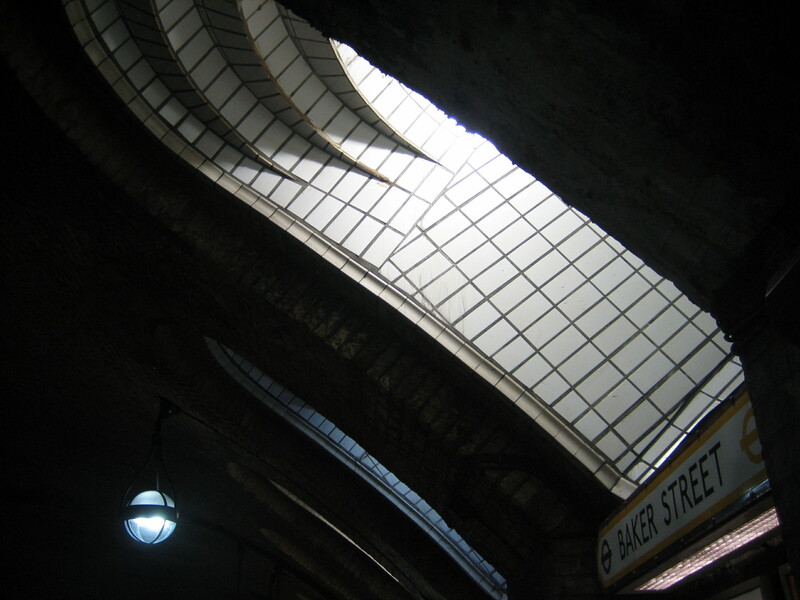 Looking at these photos of Baker Street Station is sheer nostalgia to me. 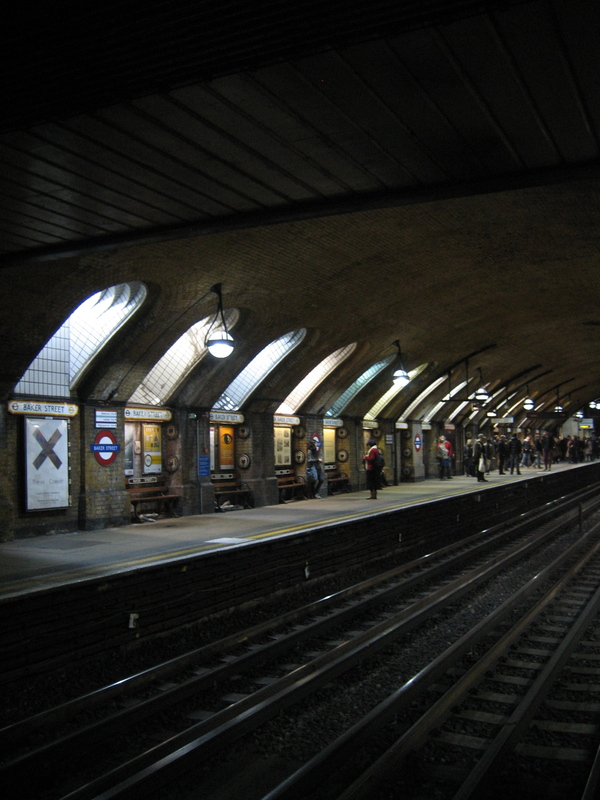 My work took me to Baker Street station from the age of 18 and I remember the restoration of the two platforms on the Circle and the then Metropolitan (now Hammersmith and City) line. The occasional coal train (hauled by a steam locomotive) passed through Baker Street Station en route from Paddington to the coal depot a Farringdon. I also recall travelling on the poorly lit Metropolitan trains from Liverpool Street to Aylesbury which were hauled by an electric engine as far as Rickmansworth, which at that time was as far as the line was electrified, where a steam engine took over to complete the rest of the journey. The first photograph has a perspective I have never noticed before. And I love the inconsistency that characterizes the Underground and is exemplified by the varying colour casts of the lights along the platform.